I picked up a Hero Arts Ombre ink pad (Ombre Mermaid) a while ago, and never liked anything stamped with it enough to post. I pulled it out again..this I like! Supplies: Stamps – Stampin’ Up!, paper – Neenah Classic Crest Solar White, Papertrey Ink Royal Velvet, inks – Hero Arts Ombre Mermaid, VersaFine Onyx Black, dies – Spellbinders, embossing powder – Stampendous Detail clear. 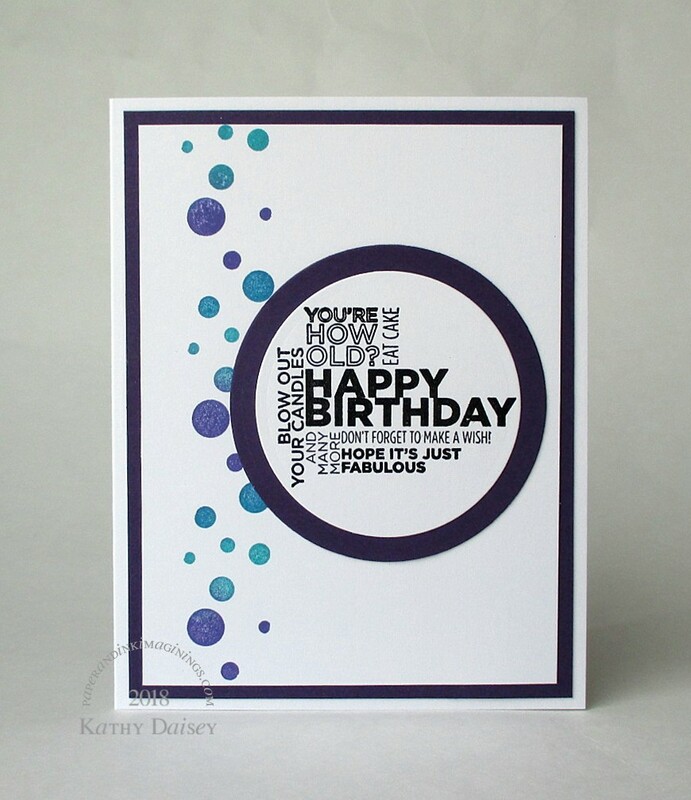 Categories: birthday, card | Tags: card, Hero Arts, Neenah, Papertrey Ink, Spellbinders, Stampin' Up!, Tsukineko, VersaFine | Permalink.